The Yamaha Stage Custom Birch is perfect for the working professional to the beginner. 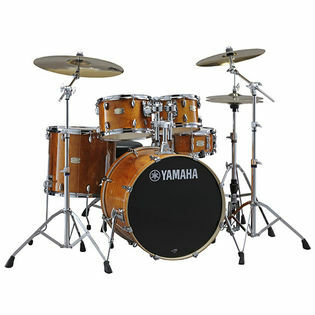 The decades-old classic sound and craftsmanship are captured in this quality affordable set. 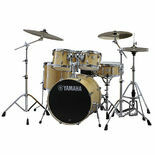 The Staggered diagonal seam allows Yamaha to build a thin shell that starts round and stays round. 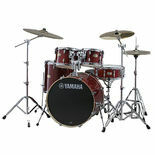 The high gloss lacquer finish and low mass lugs allow for great tone and sustain. 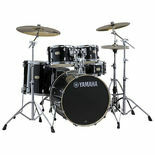 YESS (Yamaha Enhanced Sustain System) mounting system is now standard equipment on the Stage Custom drums. This rod clamp system allows attachment of the drum to the tom holder without the need of a hole in the drum shell for the rod to pass through.